Alright, so you’re not a trust fund kid who lives in a mansion and can afford a butler or tons of amazing, possibly M16-grade weapons and transportation. That doesn’t mean that you don’t have what it takes to be Batman! After all…it’s not the money that makes the man, it’s the man who makes the money (though, just so we’re clear, you’re not gonna make any money at this job, okay? It’s basically charity work…super cool charity work, but still...don't give up that job at Starbucks just yet)! But no matter what your means, you can’t just go out in Gotham City fighting crime without protecting your secret identity. So before you take that bus into the city to fight the bad guys, pop this officially licensed Adult Affordable Batman Mask onto that mug of yours! 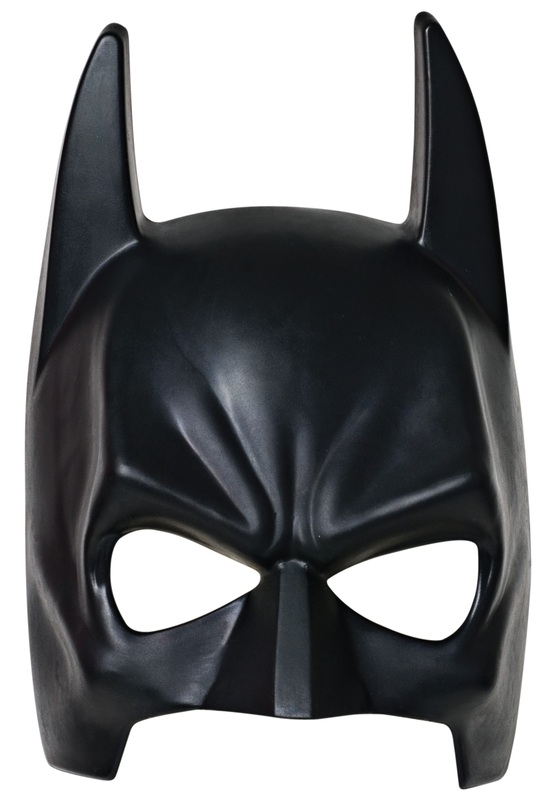 It’s made of molded plastic, shaped like the classic Batman mask - champagne Batman on a High Life budget! - and has an elastic strap to hold it in place. Trust us, this is one crime-fighting expense you’re gonna wanna shell out for…and when that Joker is all up in your grill, you'll be glad you did!